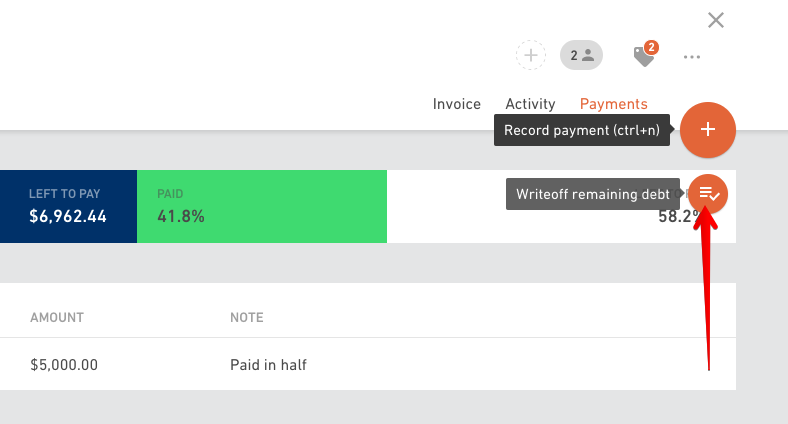 You can record multiple payments on one invoice. Useful for advance payment or cases where budget is paid in tranches. 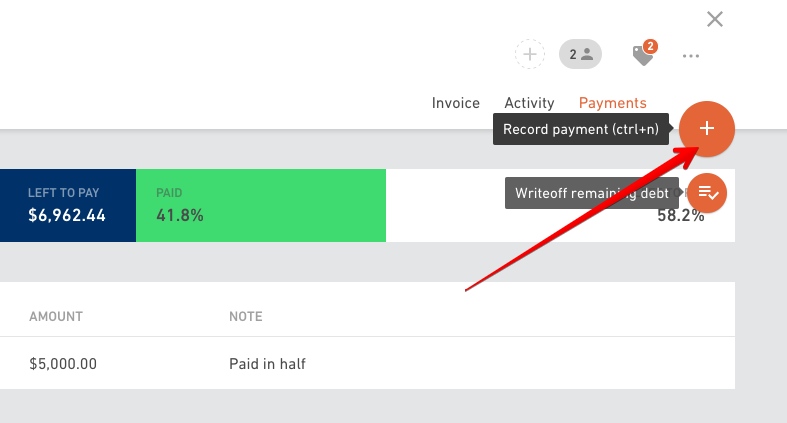 To record a payment select an invoice from the list and click on the Payments tab. The invoice can be paid in full or partially. If you have a partially paid invoice, put down the amount that has been paid and Productive will tell you how much is left to pay. Add as many payments you need by clicking the "+" button. If there is a problem with a client and you need to write off a certain amount, click the "+" button and select Write off remaining debt option. Once you have recorded all the payments (and hopefully zero write offs) the status of your invoice will change from Unpaid to Paid. You can edit or delete every recorded payment. 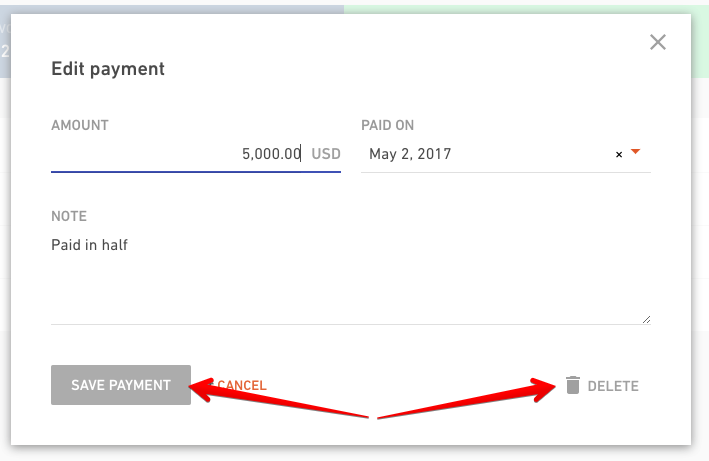 Click on the payment you want to change and select one of the options.